The participants of the conference CFO Congress 2018 tasted well-mixed menu consisting of discussion, sharing of practical experiences and information about the economic, legal and technological trends. Already eighth edition of this traditional whole day encounter was celebrated again in the premises of the Czech National Bank and was organized by Blue Events company with the support of number of partners, headed by Deloitte as an expert guarantor. We lack a quality workforce, especially in IT. This was agreed by the financial directors of companies from various sectors, from banks through energy, to food. “German recruiters stand in front of our establishments in northern Bohemia and offer 50 percent higher wages,” Dagmar Černá, CFO of DS Smith Packaging Czech, said in a panel discussion. “We cannot find gas fitters for grid maintenance. Before, 60 graduates used to apply for a job every year, now, they are about three. Automation cannot replace these forces,” Thomas Merker, CFO of Innogy, added. “Unemployment is still decreasing. Now, it is at the lowest level in Europe. Those who want to work, find it easily. We have more free places than people looking for work,” David Marek, Deloitte's Chief Economist, said. While forecasts of economic growth are slowing down, they still estimate 2.5 percent growth of this year's GDP. At the same time, the wages grow and this has a negative impact on profit margins and competitiveness. Today, in order to get the right employees, the CFO must engage him/herself in the process of the searching for them. “We take students on part-time. Usually, there are two out of ten who remain in the company,” Tomáš Jelínek, Executive Director, Raiffeisenbank, said. He advises to colleagues from finance not to rely on HR department only and to engage themselves in the process of the searching for missing talents. “You do not even have to go to school. For us, it is enough to ask students who already work in the company to bring friends. We try to show them the diversity of the work in the bank,” Jelinek pointed out, stressing that work in accounting can be attractive. However, in this case, rather for mothers after the maternity leave to whom the bank provides the kindergarten. In Czech Television, the similar attitude prevails. Czech Television may not compete in terms of wages with commercial subjects. However, it looks into ways of different advantages applicant may experience within a year´s traineeship, at the beginning as freedom and work diversity. “The HR department is under the finance competence. We try to manage it in a different way so it suits better to company goals. People still do not know that both worker and programmer may find the job in our company,” CFO of Czech Television, David Břinčil, said. “The manager is responsible for doing what is to be done, but also should take care of people´s development and communication in person with them. 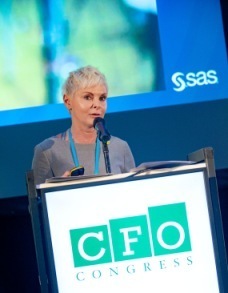 When we deal with the first issue, we forget about the latter one ... we rarely find the time to do so,” Anna Berdychová, Regional Finance Director for 17 countries in five regions at the SAS Institute of the Czech Republic, said. According to her, the emotional intelligence is twice as important for the success at the workplace compared to brightness. And she has a recipe for improving it. “Think of some person from your childhood you liked and admired – except your parents – and you can be sure that this person had the perfect emotional intelligence. Remember how this person was treating you frankly and with the interest in your opinion. Consult with the person in your mind how would he or she solve the personal issues in the company,” Berdychová advises. In practice it may mean to let the colleagues from the Near East to enjoy peaceful Ramadan and not require the annual accounts from them. 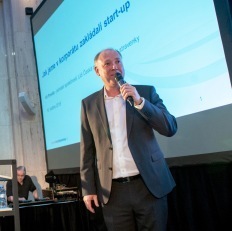 Robert Janča, chairman of the Intellectual Capital Investment Association, even thinks that besides CFO, CKO, or Chief Knowledge Officer, should be present in the company. “Financial capital is the result of the past business activities. Intellectual capital determines the company's future value and financial results. These are the roots, the finances are fruits,” Janča said, adding that financial director should also understand the brand because this can create up to 50 % of the value of the company. “See what stands behind the Tesla's success. It is not about the financial results or the number of cars sold, but about the potential to change the market,” Janča described. Intellectual capital is what attracts creative people and brings talents to the companies. “You will not be able to pay some people, but when you give them a chance and they will have a share in what they create, they will come to you,” recommends Janča, who himself is engaged in investing his and his colleague´s intellectual capital into Czech companies. “We lack the marketers who can do the justice to the consumers´ moods,” Josef Šuber, CFO of Orkla Foods, which also includes Vitana, said. According to him, the challenge for large food companies is represented by young innovative companies that determine the growth of categories. At the same time, he reflects about attracting and maintaining young people who invent new solutions. It also shows up that setting up an "innovation department" may not be suitable solution and some companies cancel them now. If you separate an independent unit, you may soon lose control over it. “Innovation should form a part of existing departments. People across the whole company should come with new ideas. It has been 10 years we have a New Media department and it is still difficult to incorporate its activities into the rest of the organization,” David Břinčil from Czech Television adds. In order to move to the change, the larger and into certain extend also narrow-minded companies have often no other solution than to create a proper version of a start up which has a strong background from the beginning. Not only a department in the company but an individual legal entity. In such a setting, the financial flows are better monitored and the planning is easier. This is what Lidl experiences with the project Our Meal Ticket currently. In addition, new colleagues identify themselves with a new brand more than Lidl itself. “People used to ask us all the time why don´t we accept meal tickets. Before, we considered them as an expensive solution, but at the time of the low unemployment, we started to discuss them with the aim to provide a benefit to our employees.” Vít Pravda, Lidl CFO, described in his presentation. Since this youngest chain on the Czech market has not agreed on the conditions with existing provider of meal tickets, it has decided to solve this problem itself. They knew that the current value of the meal ticket market of 18 billion CZK has the potential to grow, only one third of Czech employees pay with meal tickets. At the same time, 40 % of meal tickets in the Czech Republic end up in retail and "lunches in a box" at workplaces still prevail. The assumption is confirmed now, Our Meal Ticket has over two thousand company customers and almost five thousand restaurants are involved in the project after the first year. Companies that have not been providing this benefit yet buy new lunch vouchers of Lidl and Kaufland. They are attracted by a new model of cooperation without fees for employers and minimal commission for restaurants. 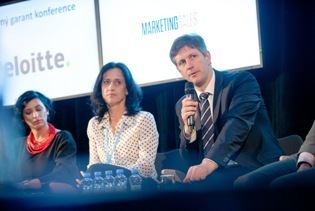 “The hardest thing for us was to convince the management of the parent company,” Pravda shared with the audience. According to him, start up must be different. New company with ten employees should run simply and in a modern way, including on-line contracts and orders and automatically generated invoices. Another innovation that should be in the interest of financial directors is, without doubt, a blockchain. Technology that guarantees the security and uniqueness of online transactions has been existing for ten years already. “We actively deal with an issue of blockchain in Germany and Israel,” commented CFO of Innogy Thomas Merker. In Bohemia, he is now rather busy with the GDPR, on which tens of people work to complete the process by the end of this year in Innogy. The parent company of the Czech Raiffeisenbank deals with the blockchain too, and the Czech management has the interest to locate these experiences in the near future. 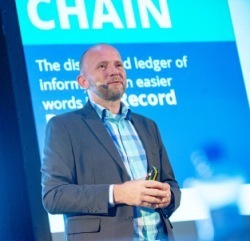 According to Peter Beneš from 6D company, the blockchain boom is still ahead of us and it does not have to cover cryptocurrency only. “Blockchain is nothing but a record book, long Excel, but you cannot edit and add rows in it. It is a system that catenates the transaction and sends it to a network of computers that subsequently validate and store this block of data,” Benes explained. Today, the most of the transactions is based on distrust so you need a mediator as a transaction guarantor that usually the bank is. The blockchain removes this barrier and enables a cost saving and redistribution of margins. The supporters of the blockchain expect that the system will put right the relationship between the provider and the user, and that it will bring an order and discipline into the world of the internet. The system is already used in various businesses from real estate (Ubitquity) through loyalty systems (Loyyal) to cotton trade (Wells Fargo) and state management, where VAT refunds or even elections via blockchain are already being tested. The same as the blockchain, also the robotic automation could bring more automated processes into business management. According to Deloitte's CFO Survey 2018, only a fifth of Czech companies have started or have already had an experience with the implementation of robotic processes automation (RPA), two-fifths plan to introduce the processes in the near future. More than half of our work could be automated by 2030. This is already applied in accounting of large companies, especially banks. “People are creative enough to use it as an opportunity. For example, the potential of the Czech economy would double thanks to robotics. This will cause an increase of labor productivity and further investment in robotics. The agriculture, construction, manufacturing or retail, are the sectors that will gain from it mostly. We can change from country with cheap montage label into the modern economy," David Marek from Deloitte shared a positive vision. The key issue, which was also reported to financial directors at CFO Congress, is a legal liability of legal entities. Roman Felix from the law firm Felix et al. focused on its management with the help of compliance programs. “We see a clear trend that is expanding. Today, there is no criminal proceeding where the legal entity's responsibility would not be investigated. During six years it has been in force, 264 legal entities were legally sentenced until March 2018,” Felix mentioned unpleasant statistics. According to him, it is downgraded issue which is at least as important as the widely-perceived GDPR. It is an unwanted child in the legal order because it is based on the principle of collective responsibility, while European continental law is based on the principle of the responsibility of individuals. The amendment from the year 2016 brought key novelties which categorically changed the definition of the range of criminal acts. In addition, according to the Czech law, foreign companies can now be pursued if their acts are related to the Czech Republic. In most cases, the property crimes are pursued, especially the tax ones, mainly employees tax evasion or bias in data of the economy state. The punishment is most often a ban on activity or a fine of average 77 thousands, however, most frequently 5 million CZK, and the amount of punishment will undoubtedly increase. Nevertheless, companies may show "an effective regret" and prove they have made all effort that could be demanded justly. To demonstrate to the regulator that the maximum of possible had been done, the companies may use the monitoring service. 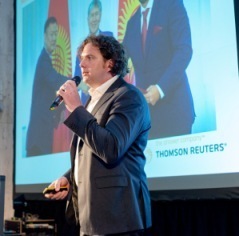 “Complience manager can spend time more meaningfully than by searching for data,” Jan Kubík, Country Director of Thomson Reuters, known, among other, for its division with 2 800 journalists around the world, said. Along the lines of the journalist tradition, they do not trust to one source or one number only. For this reason, the companies should have a clear process to end or to refuse to cooperate with a supplier. “The sales department must understand that to sell at any cost is not possible. The most cases to be solved when the screening is done the tax evasion is. We easily send the analysts to search in Chinese archives, we do not wait until something is written into official registers,” Kubík says, and gained the audience by a photo of Toyota in the hands of the Islamic state fighters. 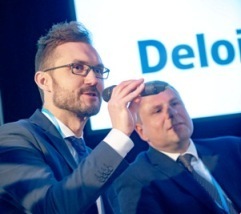 Ondřej Veselovský and Martin Burjánek from Deloitte company focused on regulation in banking and therefore a potential breaks of economic development. “The market is overregulated. There is no distance at European level to look at which regulation works and whether it has brought what the legislator wanted. It does not need to be canceled, but humanized and to be adapted to the needs of the market,” Martin Burjánek, consultant for risks and regulation for clients from financial area, said. For example, the regulation related to financial products requires the banks to keep last 10 years of the communication with their clients, which is in conflict with the GDPR regulation at the same time. Banks would have to encode the magnetic tapes and then delete them again if anyone quits the bank. The Crisis Management Fund established in 2016 by Czech National Bank resulted in the competition between the banks in who will minimize the contribution mostly. On the other hand, Payment Services Act enabled for example the access on the market to services that allow to manage accounts from different banks at once or so services enabling so called fast instant payments. “We are in a unique economic situation. Although the competition is high, the loans of banks are still increasing and the number of debtors is decreasing. This decreases bank´s expanses to cover the risks. Meanwhile interest rates remain stable,” Ondřej Veselovský said. 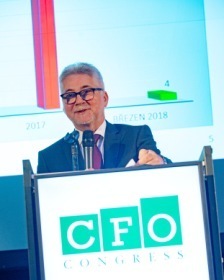 The audience of CFO Congress 2018 was formed by top management, mainly by financial directors. The participants of the conference represented broad specter of fields from industrial production, through transport, energy, telecommunication, IT and financial sector. 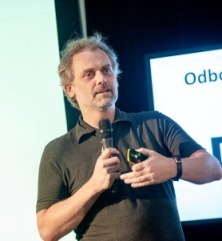 The moderation was held by Daniel Stach from Czech Television. 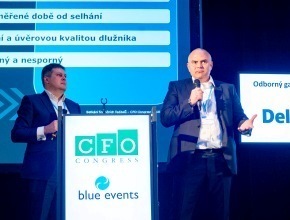 CFO Congress 2018 was brought by Blue Events with an expert guarantor Deloitte.